Technology is your guilty pleasure? Always thirsty to know about the latest and greatest? Then you may have noticed that on numerous occasions the very first leak we have on a fair amount of devices comes from the resourceful East. This one is no exception, for the folks behind Vietnamese Tinhte have managed to get their hands on an AT&T branded BlackBerry A10, also known as Aristo. At this point, you probably thought of that leaked 30-second, no sound video that first appeared and gave us a sneak peek at the Canadian manufacturer's upcoming flagship. This time around, though, we have a more of an in-depth sneak peek. We found the device visually appealing, though its thick line won't win it any prizes. Considering the specs on competing flagships, the BlackBerry A10 will launch with some outdated hardware. Sure, not all OSes are the resource-hog that Android is, but a 720p display on a 5-inch device seems like a gross oversight. Alas, we digress. These are, of course, unofficial, but Tinhte has given us a pretty exhaustive list of the specs found on the BlackBerry A10. The video is in Viatnamese, but we have reached out to Tinhte asking them if they could provide captions. We'll update you once, and if, such become available. I bet this is going to be so so so so expensive, you know...BlackBerry's Logic "Low-End" = $500 "Mid-End" = $700 "High-End" = $2000 A piece of junk regardless..
Soothsayer...NOT! I seriously doubt that it'll cost $2000. Also, the other numbers you put up are for non-contract phones. How much was your phone without a contract? $600? Keep your so-called "facts" to yourself and cut the immature crap. As I've said before, prove your statements with evidence-based facts vs your opinion. Since you seem to be such a Blackerry expert, I challenge you to put your money where your mouth is and use a Blackberry for a month and give an honest assessment. Otherwise, you're just a troll. This is terrible 720p is old for a flagship! Its also thick, battery's non replaceable, and camera will probably be awful! 720p for 5 inch is not a gross oversight, but 720p for BB's price point is gross. But this is one premium looking device. Blackberry is following Apple in terms of prices. That is the absolute worst thing they could do at this point. They can't afford it! Chris p how is 720p display on a 5inch device seem gross? Samsung put up the same display on their galaxy note2 with even .5 inch larger and you all glorified it. Slaggyb, the Note II was -released- 10 months ago from today; who knows when the A10 will? A 720p display is not bad, but it's fallen into the midrange now, and we are actually expecting the A10 to compete with other flagships :). Hey, It's "Vietnamese", not "Viatnamese". I don't think this will be the a10 'aristo' everybody seems to be going on about. 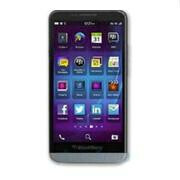 Apart from having a larger screen, the specs of this phone are too close to the z10. The back of the phone even states a 'Z' designation for this phone! (Z00). I think this is the next Z model phone. If, however, I am wrong and this is actually the new flagship A series, then I worry for Blackberry. This phone is already behind the curve compared to the hardware available on other smartphones, and its not even been officially announced yet!